Dennis Skupinski of Ann Arbor and Keith Markstrom of Bay City are on a mission to drag Michigan into a nationwide celebration of the World War I Centennial. While the Michigan Legislature hems and haws about Senate Bill 670, providing authority and funding for the Centenary fete, other states have advanced planning for the centennial, said Skupinski in a presentation last weekend at the History Society of Michigan's annual conference in Alpena. Skupinski, who studied Engineering at the U.S. Military Academy at West Point, has become a marketing guru, a pro bono consultant whose work managing the Google online advertising for the National World War One Museum which has had a dramatic increase in the number of clicks/conversions. Because of this success, Google has increased the grant by 400%, according to Skupinski. A personal banker with Huntington, and a sales manager with DSC security systems who is Google Adwords certified, Skupinski also manages four other Google Adwords grants for the Yankee Air Museum, WW1 Inventory Project, Michigan Aerospace Foundation, and the WW1 Historical Association. Locally, Markstrom, who heads the Bay Veterans Foundation, is working with groups such as American Legion Post 18 and the Children of the American Revolution, headed by Madden Brady of Essexville, to organize a World War I Centennial Celebration in Bay County. One project is to enhance the Doughboy statue and monument Pershing Park adjacent to Sage Library on Midland Street and add descriptive/interpretive information about the role of Bay County in the war. Brady, who is state president of the youth group, aims to raise $5,000 to re-bronze the Doughboy statue and is selling small replica doughboys for $10 as part of the effort. J. Donald David, a local businessman who attended the Alpena presentation by Skupinski, recalls his late father Bryan's Navy service in World War I. He still has the historic uniform, including a beret with ribbons given him in France. Markstrom said a variety of fundraising projects are being considered for the World War I Centennial, including a Great War Cocktail Party with drinks from that time period. Skupinski has researched about a dozen cocktails popular during the Great War era, including the Sidecar, French 75, and Red Hammer, a Bolshevik Revolution era mixture of Smirnoff vodka and tomato juice credited to Ferdinand "Pete" Petitot, legendary bartender at Harry's New York Bar in Paris. SB 670 was introduced by Sen. Rebekah Warren (D) on December 15, 2015, to create a state World War I Centennial Commission that would plan and encourage activities to commemorate the centennial of World War I. Also called The Great War, WWI began in August of 1914 and ended on November 11, 1918; the United States entered in April 1917. World War I was the first fully 'industrialized' war, introducing on a mass scale modern machine guns, artillery, poison gas, aerial bombing and more. 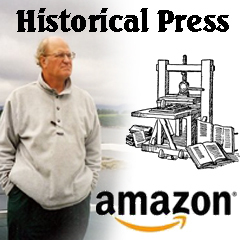 A book by this author, entitled "The G-34 Paradox: Inside The Army's Secret Mustard Gas Project at Dow Chemical in World War I," published by Historical Press LLC, details the nation's first mustard gas production in Midland used in the war in 1917. 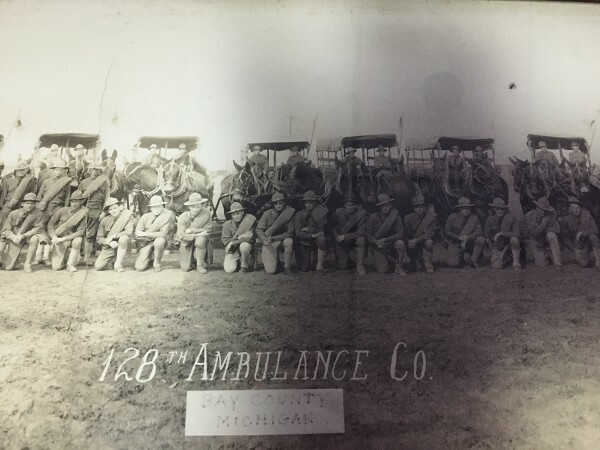 This Dow/Army achievement, the production of naval vessels by the Defoe Boat & Motor Co., and the service in France of the Bay City Ambulance Company of the Michigan Natural Guard, links mid-Michigan directly to the Great War. Undoubtedly, a local observance of the Great War Centenary is warranted. SB 670 was referred to the Senate Veterans, Military Affairs & Homeland Security Committee on December 15, 2015, and reported in the Senate on June 7, 2016, with the recommendation that the bill pass. -A documentary film on the history of Detroit's only all-volunteer regiment during the First World War and some of its famous members. -An interview with a member of the 1903rd Aviation Battalion and his experiences during the Korean Conflict. -A documentary film on the history of the 28th Division during the First World War. U.S. Army Signal Corps film of the 28th Division was used to create this program. An amateur historian who has appeared on the Frank Beckmann radio show on WJR and Access Ann Arbor, television program, Skupinski manages a private museum that specializes in combat uniforms of enlisted men and junior officers from 1910 to the present. On display are over 60 military mannequins with a focus on the Western Front Allies. These can be viewed on Flickr at Musee Skupinski. He also manages the Facebook page of Michigan's WW1 Centennial and has several published articles on the First World War.